For users who are Harvard faculty or staff, confidentiality is required by existing University policy. The University Policies on intellectual property and on research misconduct establish that research and research data at Harvard is to be protected from intentional and unintentional disclosure. Thus, samples, products derived from samples, data obtained from the analysis of samples, and data and analyses obtained from a facility user shall be considered confidential, and shall not be shared, published, reanalyzed, reprocessed, or in any other way shared or used for additional analyses without the facility user's expressed and written permission. The relevant Harvard policies may be found here. 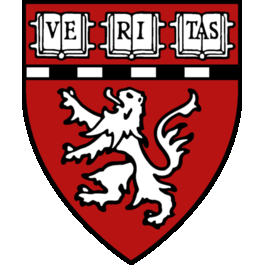 For facility users from outside of Harvard University, such as corporate partners, investigators from government, other universities or any other type of institution, the same confidential treatment of research and data shall be applied in the facility. In this case, confidentiality is assured through execution of a confidentiality agreement with Harvard University upon request from the facility user. Assistance in establishing such agreements will be provided by facility personnel and/or the facility director. For Cores that DO have users from the EU who use Core services while on EU territory (e.g. Download and use software from HMS in their home lab; VPN from the EU to HMS compute resources to perform data analysis…), please make sure that your data use policies are consistent with the EU requirements. If you have any questions please contact Scott_edmiston@hms.harvard.edu (DBMI; Director of Research Privacy and Security Compliance) or Joseph_zurba@hms.harvard.edu (HMS information security and IT compliance officer).